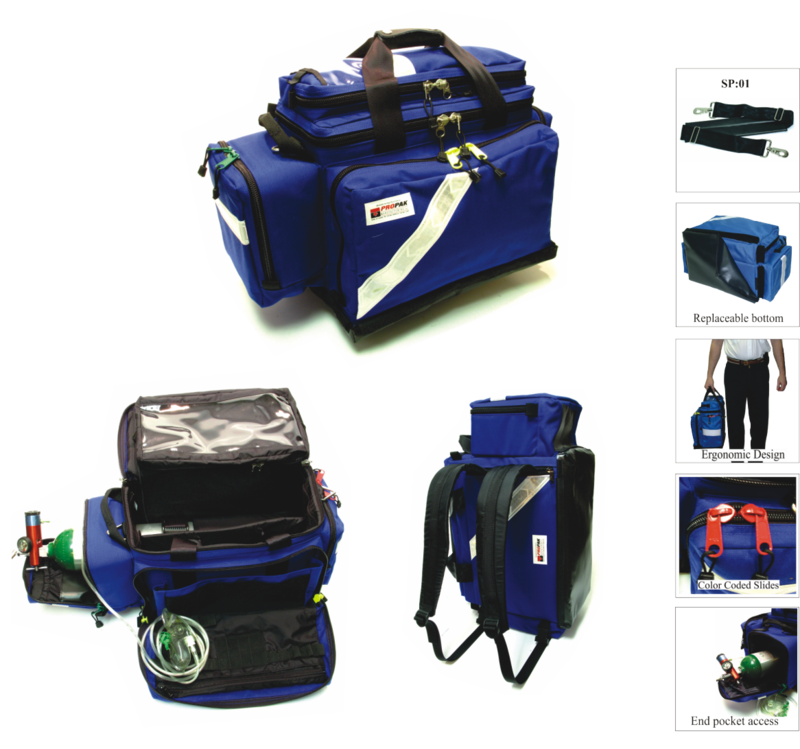 DC:03 TRAUMA / OXYGEN DEPLOYMENT KIT C/W MODULE BACK POCKET Fits a D cylinder, Jumbo D available on request. 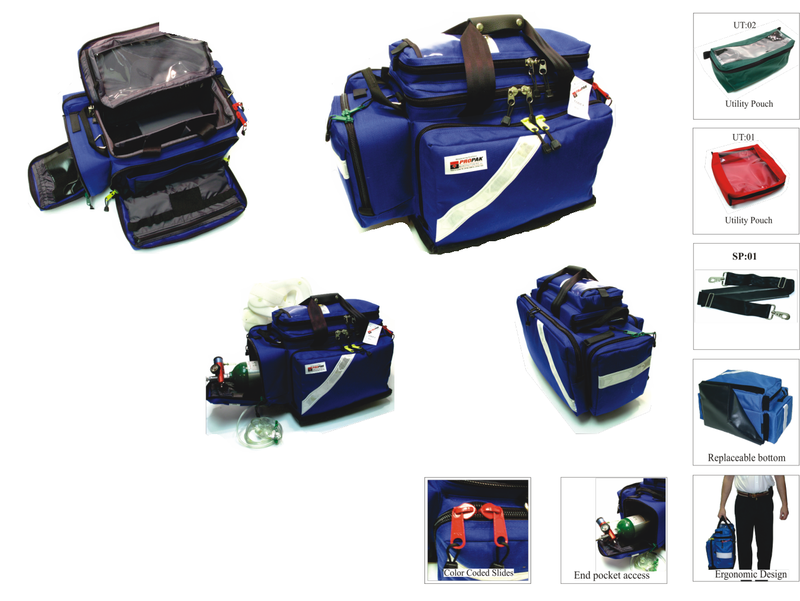 The DC:03 is a premium, semi-rigid deployment system that organizes your oxygen, airway, trauma supplies into one space-efficient, user friendly kit. The DC:03 is constructed from the highest quality fabrics and hardware. 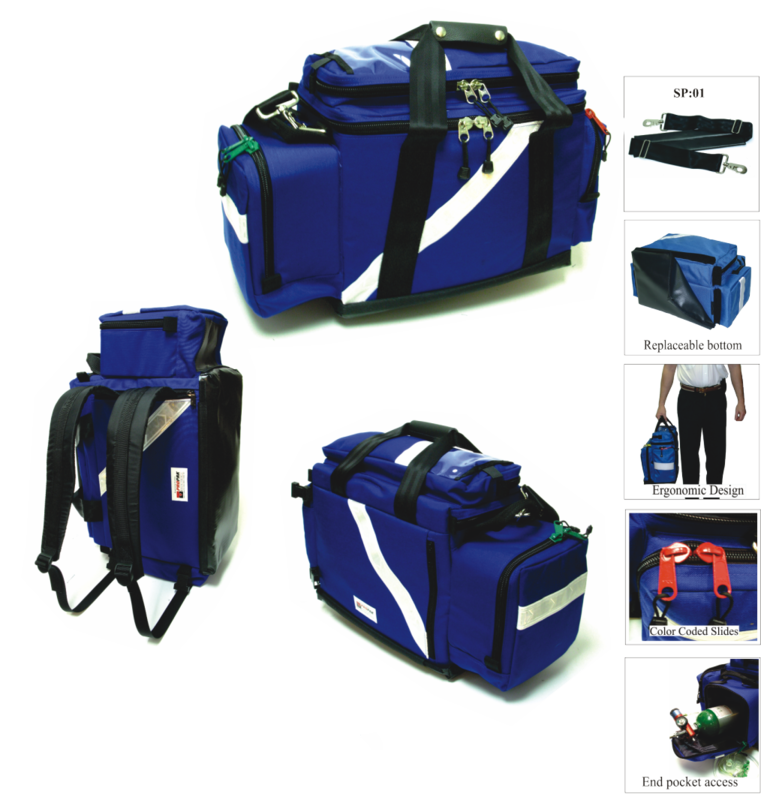 The thoughtfully laid out interior features many things including a clear windowed pocket on the lid and a supported shelf which will not drop down impeding the removal and replacement of the O2 cylinder. 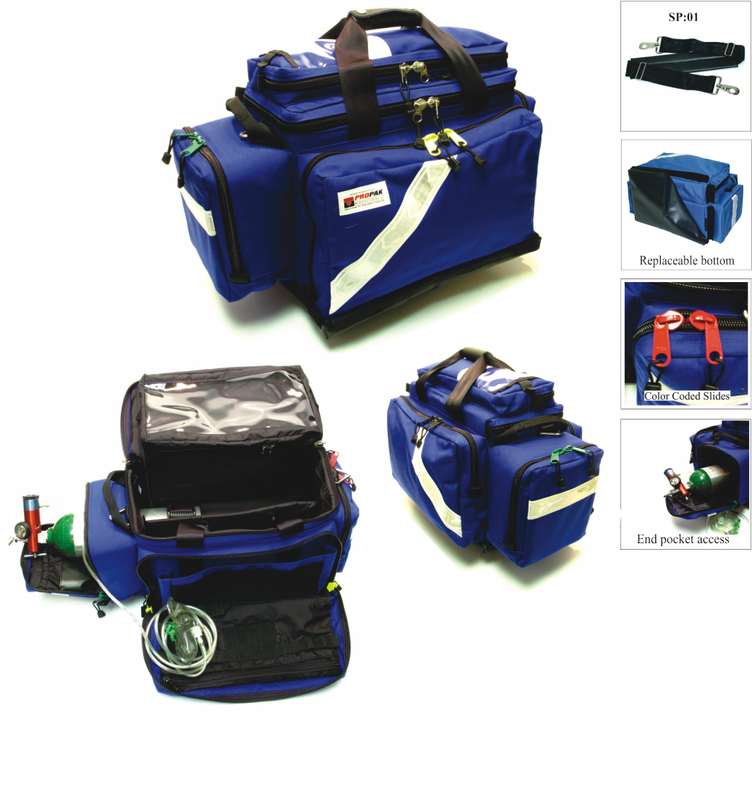 Combine this with access from the interior to the O2 pocket make this product well suited for a ventilator. 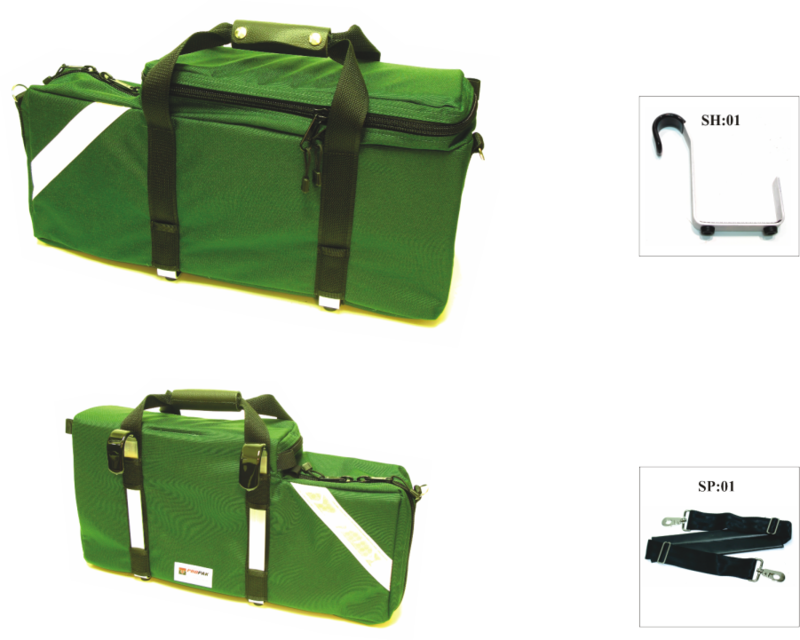 Various elastic looping and a generous amount of pockets / pouches make organizing you medical supplies easy and logical. 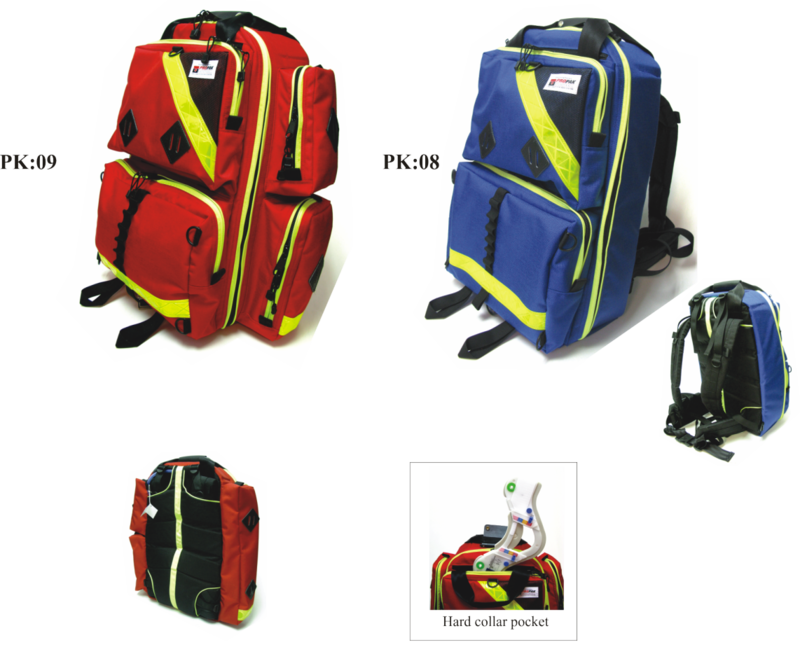 The robust materials, and impeccable construction is designed for years of trouble free service.